Om El Bahreyn can be summed up in two words: Type and Temperament. Bahreyn is the epitome of type in that he oozes looks, movement, structure, charisma and immense elegance and style. 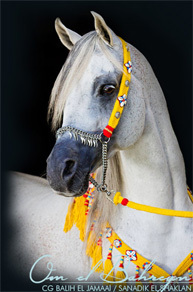 All the qualities that you would expect from such an illustrious pedigree, consisting of the cream of the worlds Arabian bloodlines – Ali Jamaal and four crosses to Estopa. 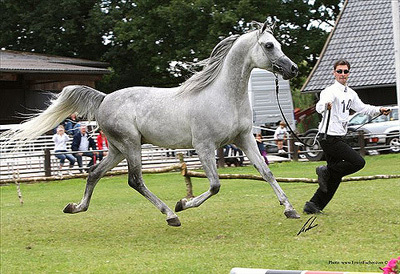 Bahbah is renowned for his extraordinary temperament. He grazes in fields next to mares, colts or geldings. He adores foals and he even acts as uncle to them, and is turned out with them at weaning to look after them. 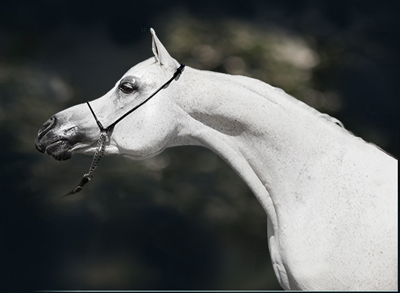 Bahbah is a true gentleman and a horse who you truly believe listens to every word you say – and understands! 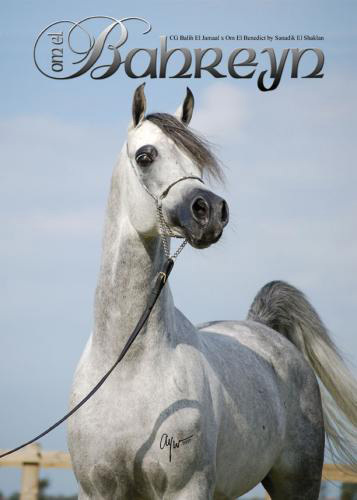 His intelligence, inquisitive nature and eagerness to please mean he learns very quickly, hence his success in Liberty Classes, where he delights the spectators with his display, including his flourish at the change of rein (rears, leaps and tail kicking) and his halt. 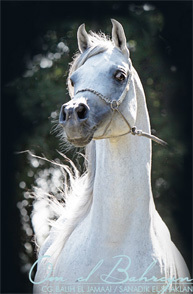 Bahbah passes on type, structure, movement and charisma to all his babies. 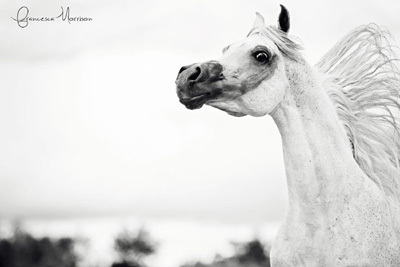 He is a horse that loves life, has an immense presence and a gentle soul.